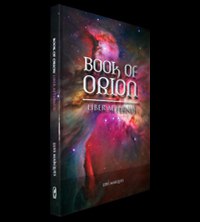 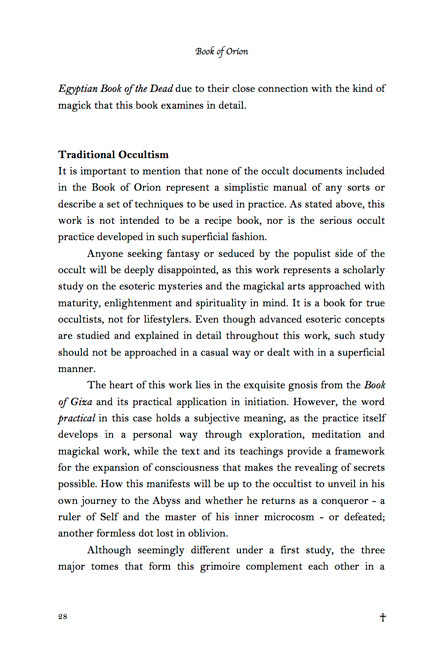 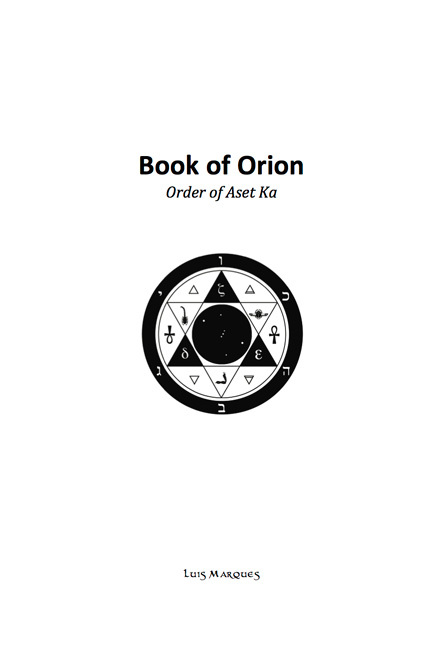 The Book of Orion is an occult grimoire that presents a profound study on spirituality and ancient symbolism through an initiatory formula that echoes the timeless connection between the psychology of the incarnated mind and the many indefinable layers of divinity. 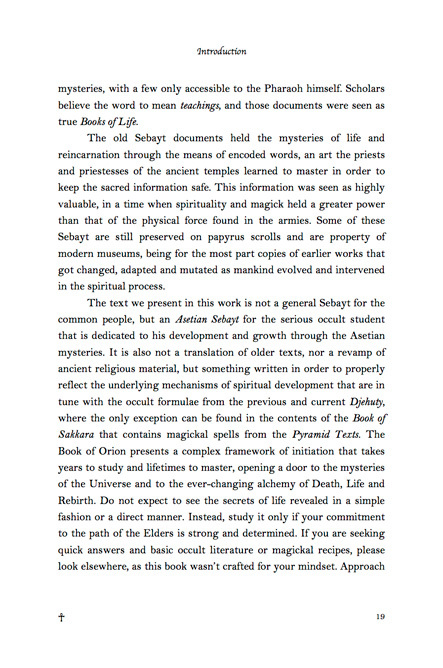 It is an intricate work on the mysteries of Death, Life and Rebirth that develops the premise where the key to the hidden gnosis that holds the secrets of the Universe can be found in the subtlest details in nature. 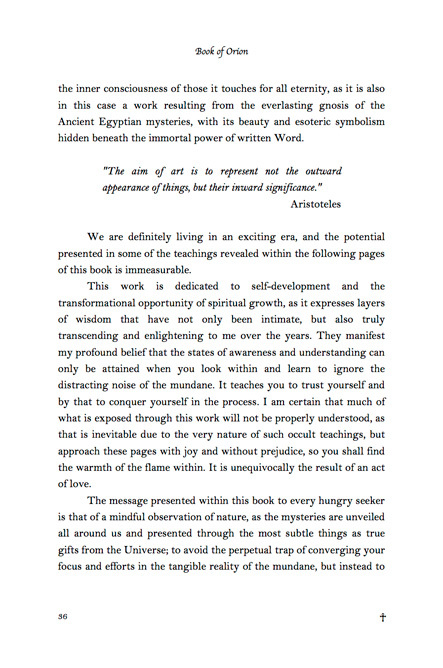 It takes the reader through a realm of lost cultures, encoded mythology and forgotten wisdom, exploring the mental and spiritual tools for the ageless quest of inner growth and understanding by touching the very fabric of immortal consciousness. 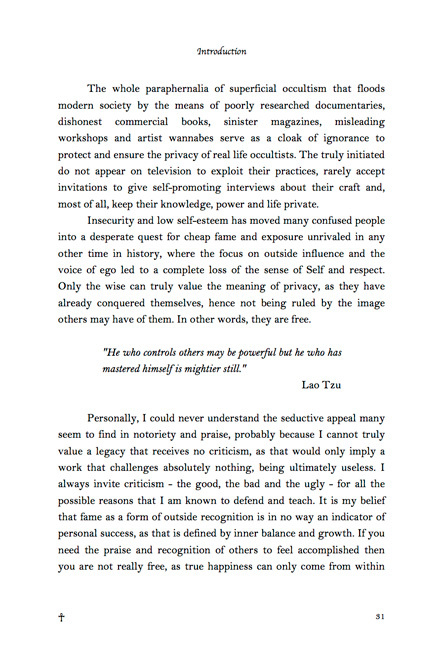 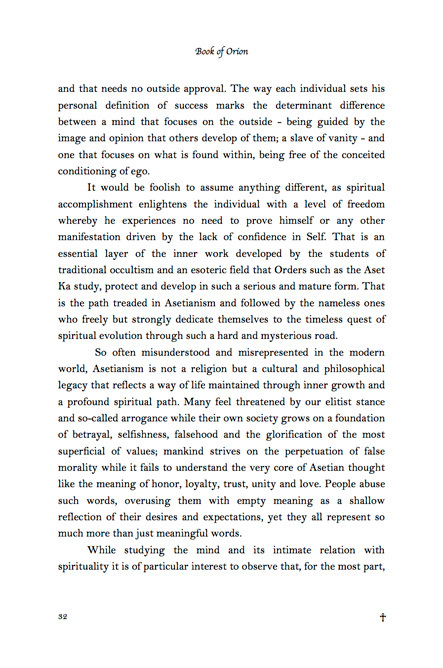 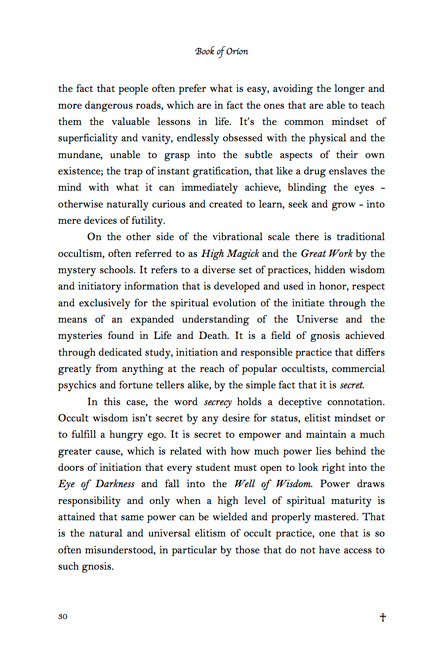 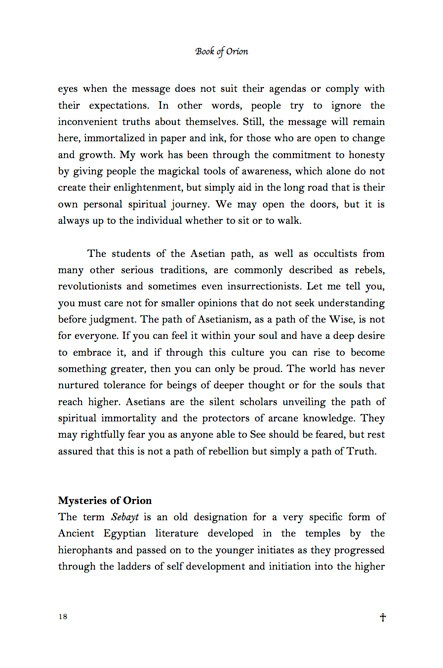 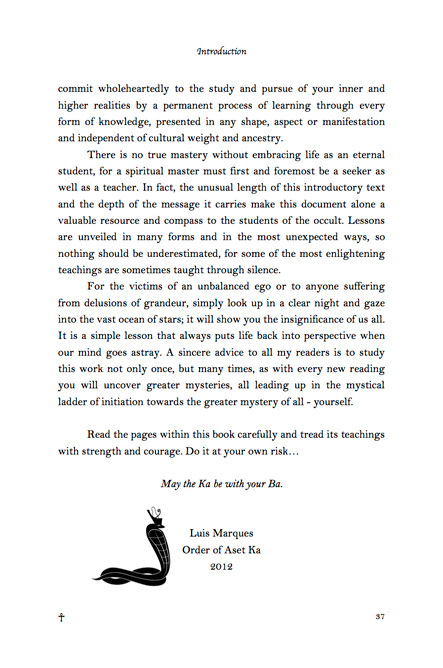 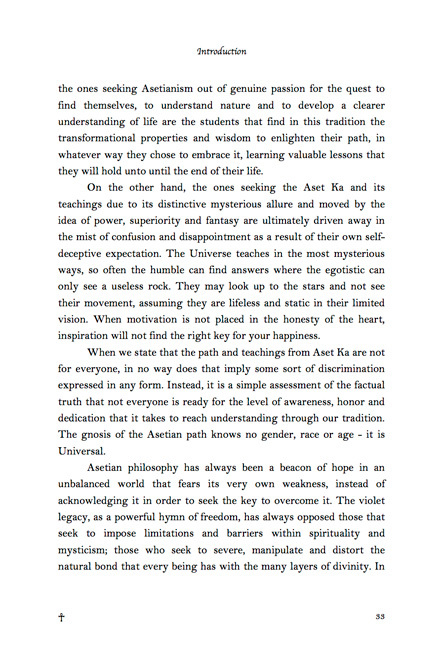 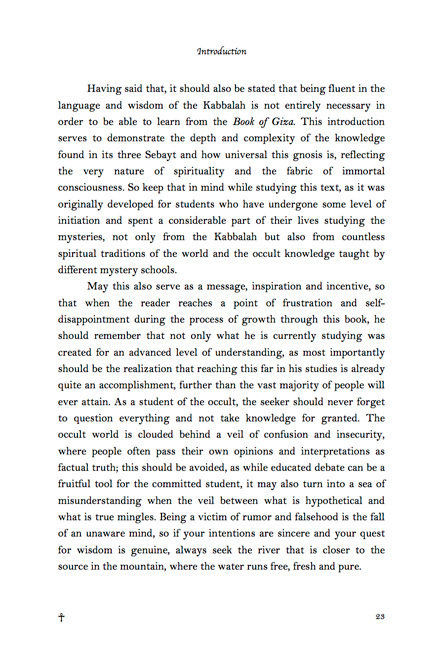 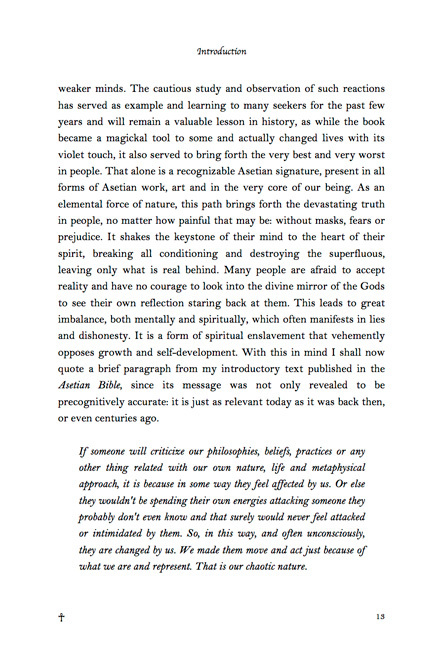 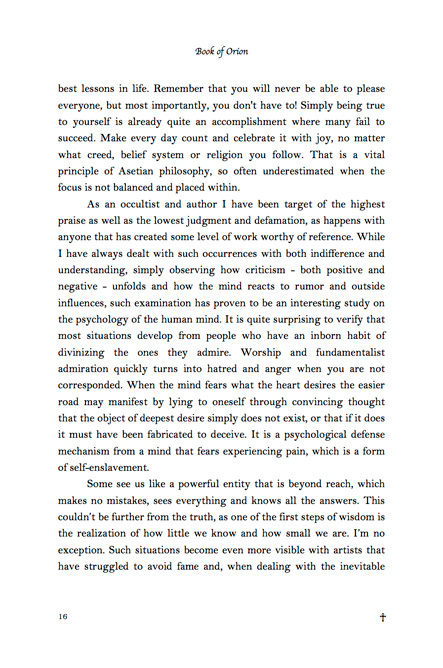 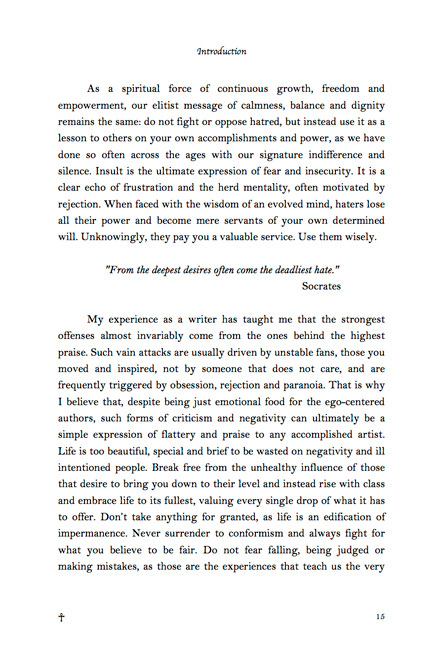 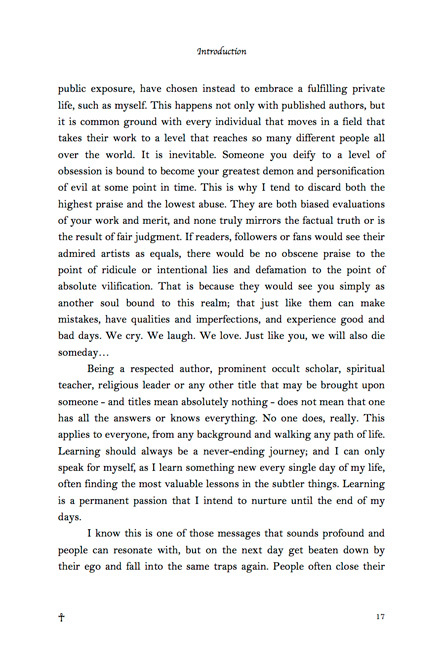 By presenting a cryptic layer of Asetian philosophy the author educates the student of the occult in how to find, explore and interpret the many roads to personal enlightenment, along with its deceptive traps and illusions, ultimately liberating the spiritual seeker with the power and trust to look within and to conquer his own reality. 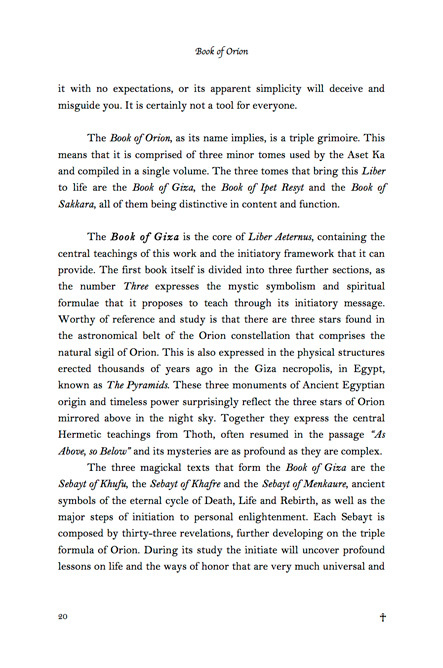 Organized into three distinctive tomes of scholarly value, this work sheds light on the convoluted wisdom of old Israel known as the Kabbalah and how it connects with earlier Egyptian beliefs. 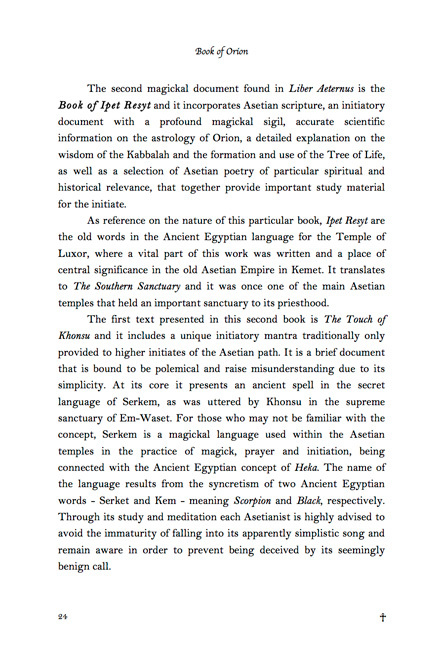 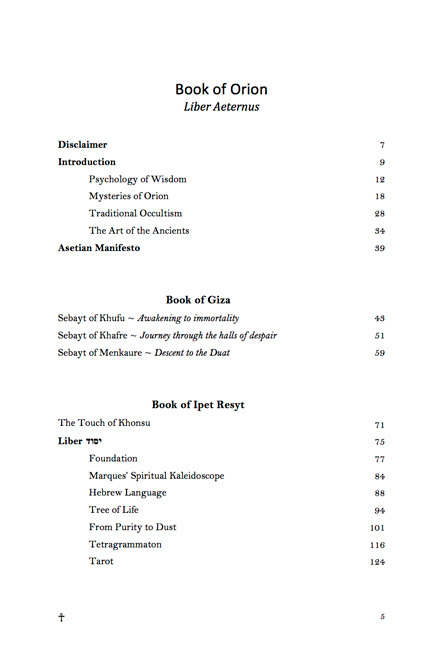 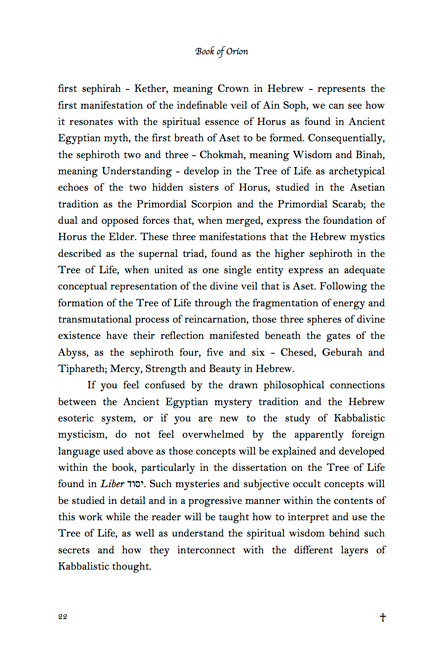 It teaches the seeker about the formation of the Hebrew language so often explored in Western mysticism, the interpretation and use of the multilayered glyph of the Tree of Life, the fragmentation and transmutation of subtle energy explored in advanced metaphysical practice and the fundamental elements at the core of spiritual thought as studied in the mystery schools of past and present. 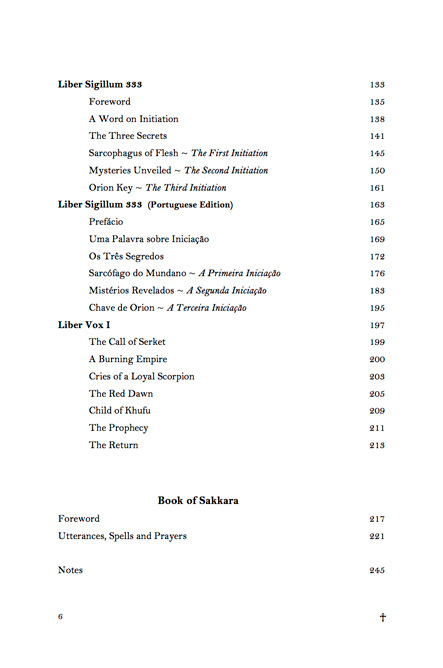 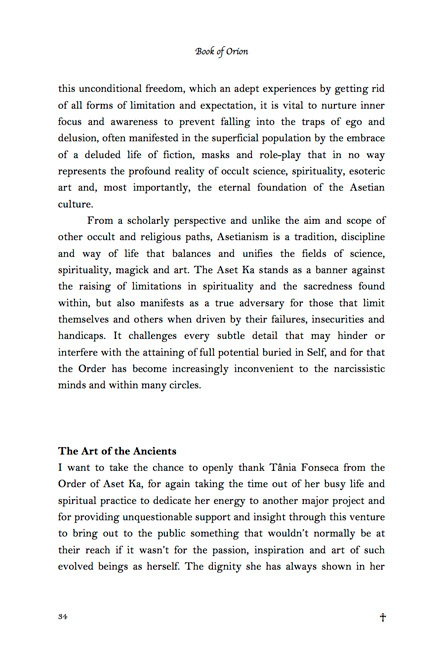 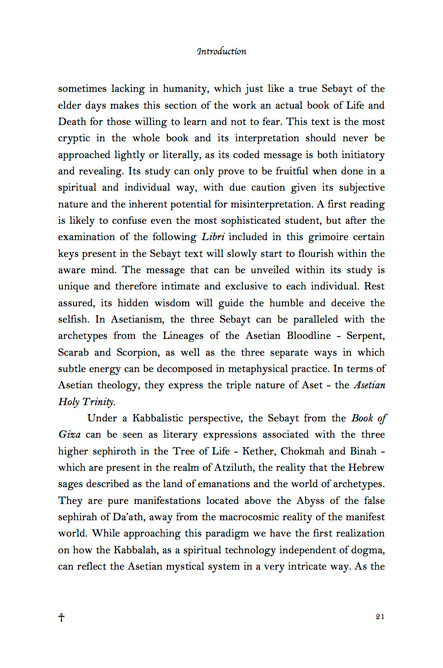 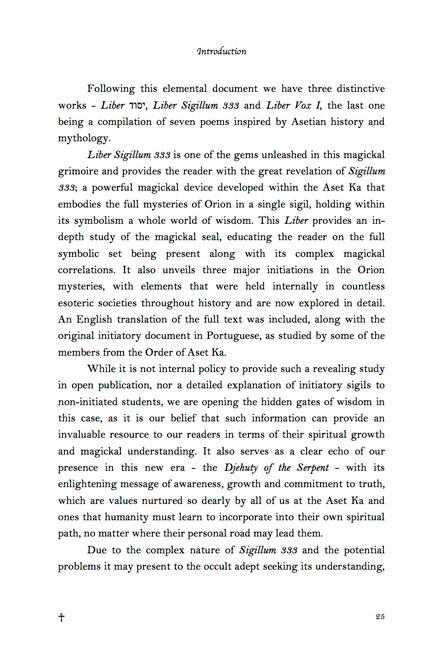 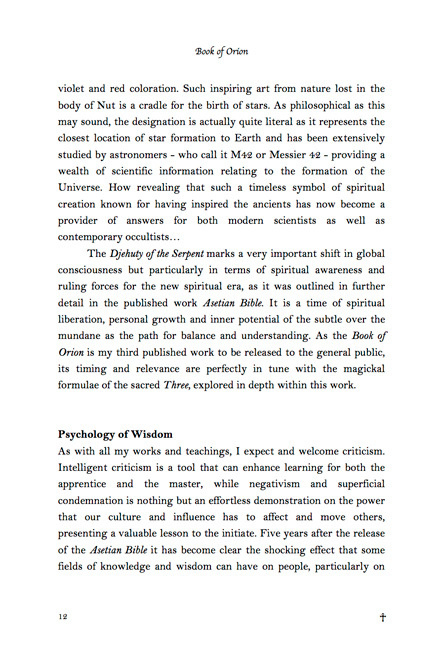 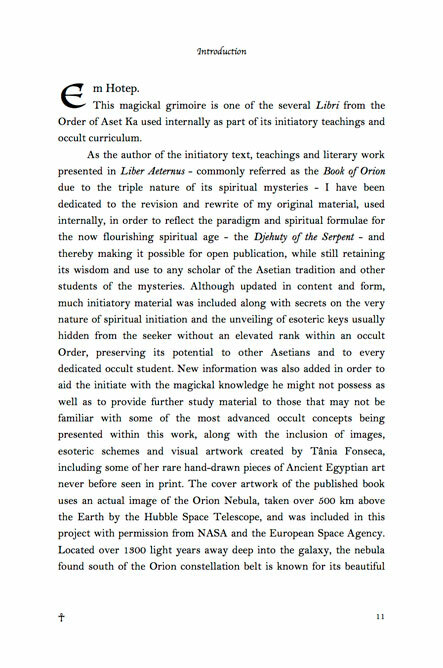 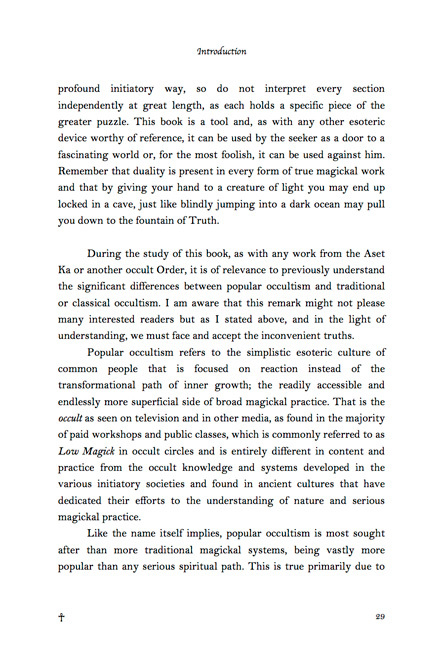 It includes a compilation of different esoteric Libri developed by the author and of particular relevance to any contemporary occult curriculum, elaborating on the nature of initiation and its transformational properties, along with the detailed study of a powerful sigil and its complex layer of symbolism. 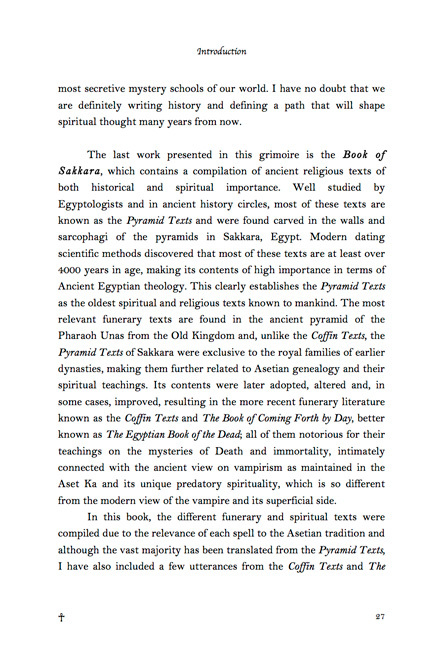 International author Luis Marques, one of the leading specialists in Asetian spirituality, is a renowned expert in metaphysics and Ancient Egyptian knowledge within the Order of Aset Ka. 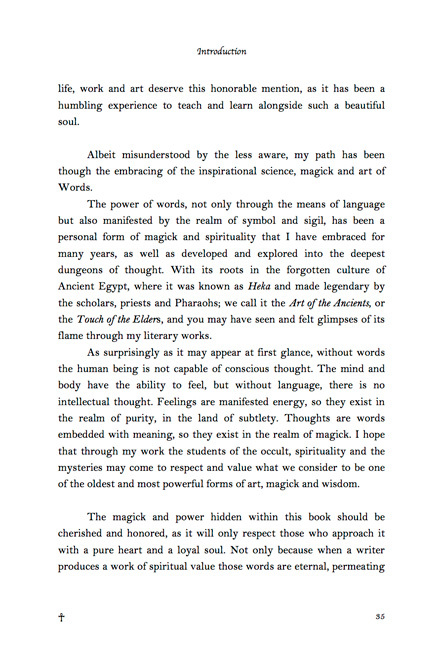 An authority on ancient symbolism and esoteric mysteries, he unveils through these pages another profound literary work that expresses a serious commitment to occult wisdom, which is here presented with an unseen level of clarity, honesty and eloquence. 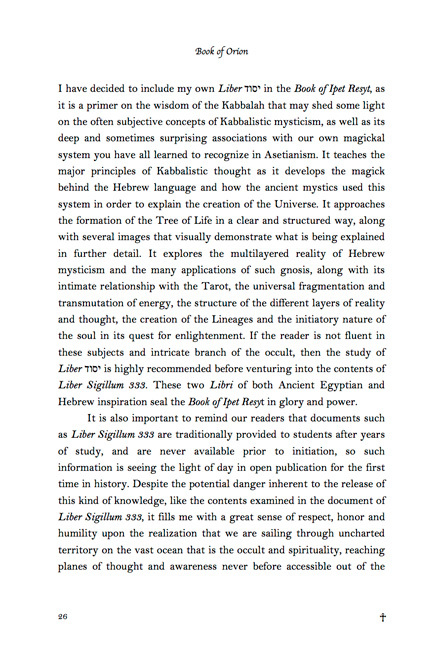 "Bask in the light of all abominations for only when going through the gates of the abyss you shall find your answer."